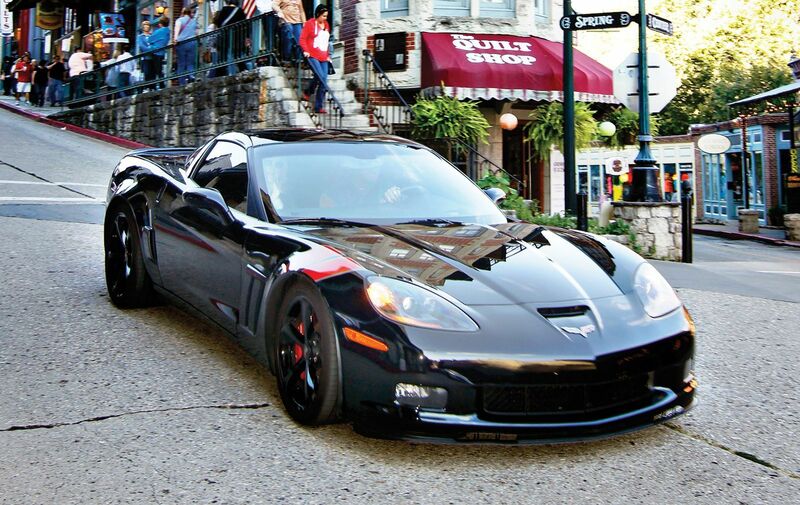 Since 1991, Corvette enthusiasts across the Midwest and beyond have gathered in Eureka Springs on the first weekend of October to enjoy the beautiful autumn scenery and weather, the unique charm of the Ozarks and fun and fellowship with hundreds of fellow Corvette fans. All Corvettes — modified, restored, original or daily driver, from all years — are welcome. For registration and more info visit http://EurekaSpringsCorvette.org. Angelo is back with Drumming in the Park! Come on down to Basin Spring Park, bring your drum and join in the fun. 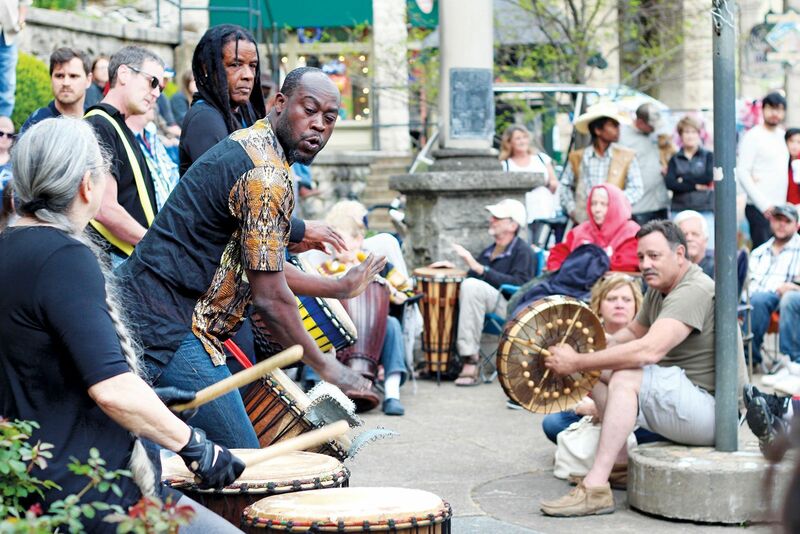 Everyone is encouraged to join in on the drumming circle. Lindsey Lou and the Ben Miller Band will perform for October’s Music in the Park Series. Enjoy a free weekend of music in Basin Spring Park! 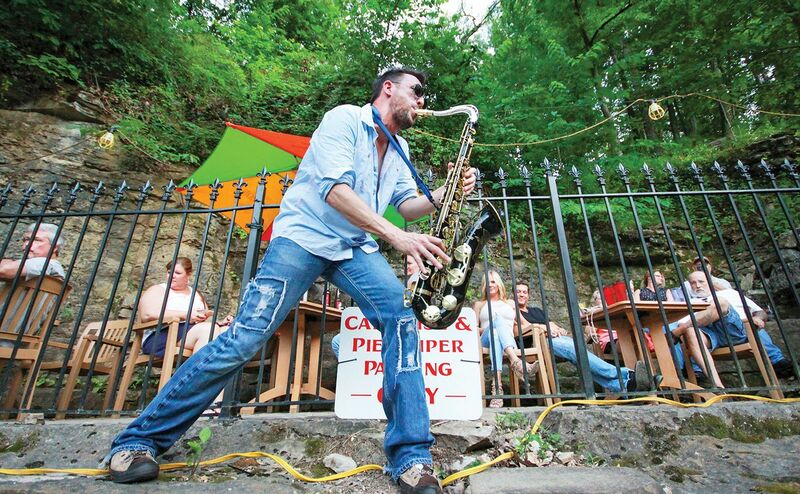 Saturday, Oct. 13, 6 p.m.
With more than 250 booths of all handcrafted products displayed by their creators, the War Eagle Fair takes place along the banks of the War Eagle River, just a 30-minute drive from Eureka Springs! For more information on the Fair, visit http://WarEagleFair.com. Costumed, guided, living history tours of the Eureka Springs Municipal Cemetery located on Highway 62 East. These tours feature actors in period costumes sharing stories of their unique and colorful pasts. These are one-hour walking tours through the cemetery starting at 5:30 p.m., departing from the parking lot of the old Victoria Inn, and leaving every 20 minutes until 8:30 p.m. Free parking and free shuttle service to the cemetery. 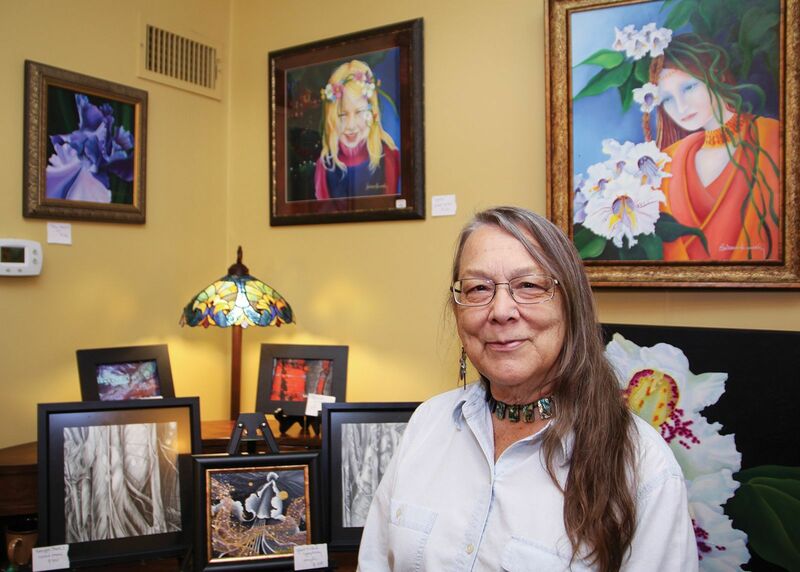 This is one of the Eureka Springs Historical Museum’s main fundraisers for the year and has evolved into one of Eureka Springs’ most anticipated events. Come and learn about the history of Eureka from some of its “original” founders. For more information visit www.EurekaSpringsHistoricalMuseum.org or call 479-253-9417. This fun event is a fundraiser for the Eureka Springs School of the Arts and features dinner, a silent auction, a cash bar and music by the Crescent City Combo. Of course, hats are required! Tickets are $60 each and may be ordered online at essa-art.org. Magnify Jesus Ministries is calling all men to join in this rally and concert featuring legends of Christian music. For more information and a full schedule, http://MagnifyJesus.World. 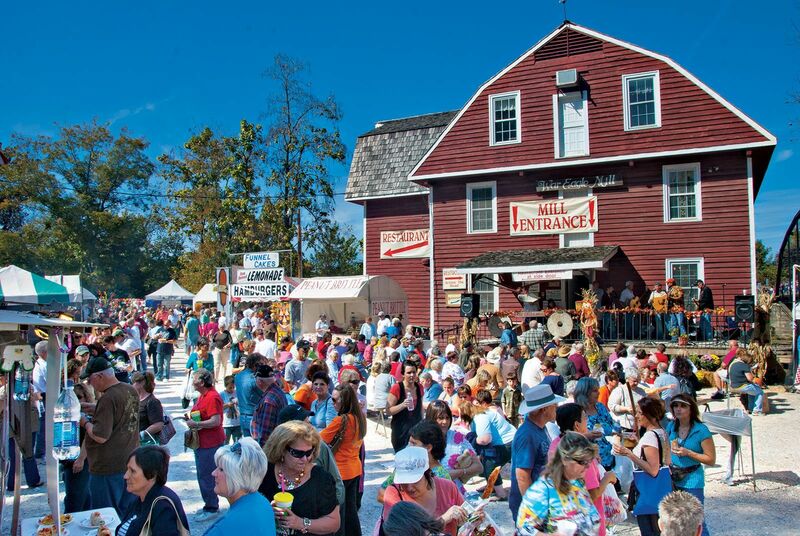 Join the Eureka Springs Rotary Club at the annual Oktoberfest. Sample the finest local micro-brews, craft and seasonal beers. The party will be right in the middle of downtown on Center Street. Hundreds of MINI motorists come together to enjoy all things MINI. For registration and more information, visit OzarkMini.com. The Melonlight Dancers will entertain all ages, and if you’re willing, they’ll help you learn a step or two. 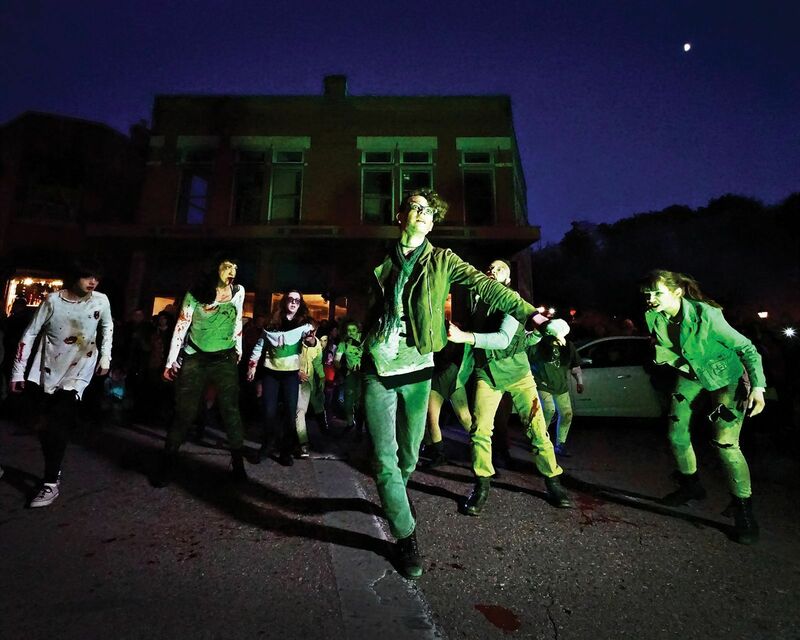 This is the special Halloween, Zombie weekend dance. 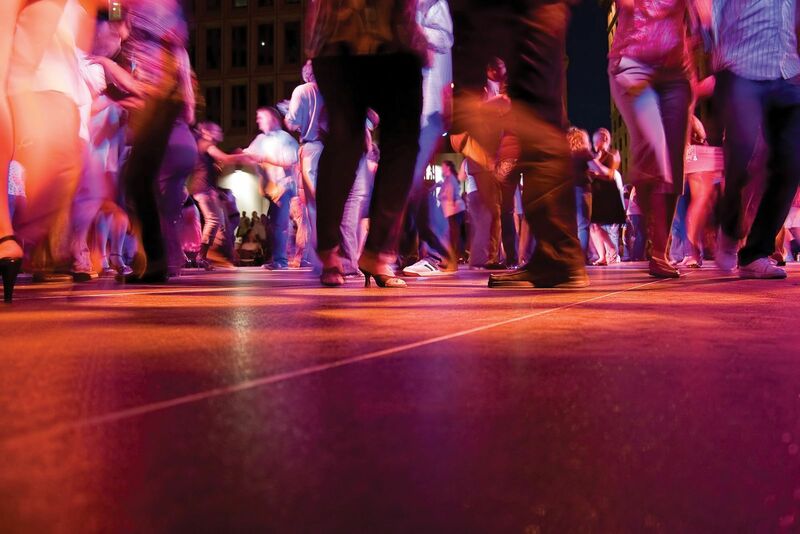 Come and learn Michael Jackson’s Thriller —at least enough to participate in the Zombie crawl and street dance. Don’t be a scaredy cat during this family-friendly nighttime fundraiser. 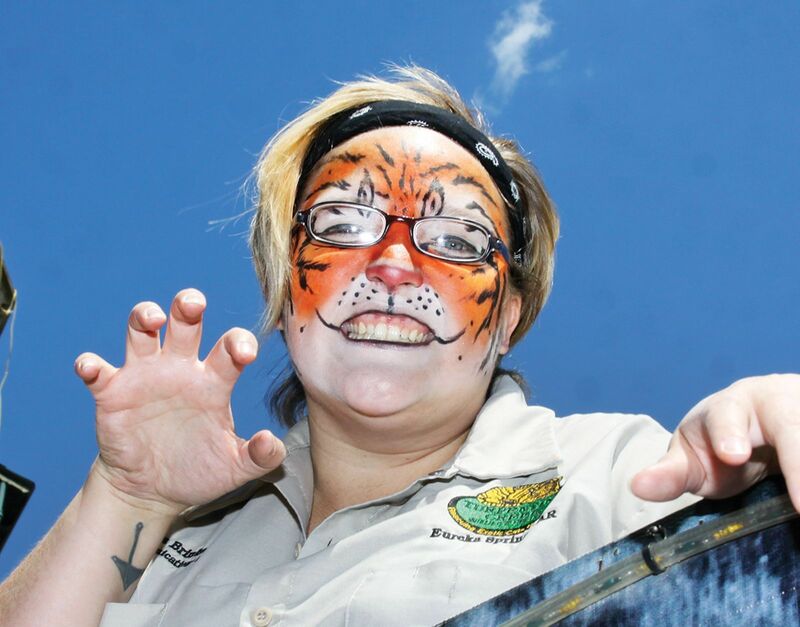 Join the Turpentine Creek Wildlife Refuge as they turn their property into an open-air haunted house, brooding with lions, tigers…and the occasional princess. Costume contests, games, giveaways, hayrides, and nocturnal animals await you for the only time of year the Refuge is open during the dark of night! Entry fees are normal pricing of $20 for adults, $15 for teens (13-19), $10 for children (4-12)/Seniors (65+)/Military and children under 3 are free. If you visit the refuge earlier in the day your pass from then will still be valid for the night event. Intrigue Theater’s Sean-Paul and Juliana Fay promise to make the 2018 Halloween show the biggest one yet. Get your tickets early for this special performance. For more info visit http://IntrigueTheater.com.